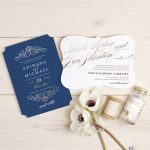 Today we’re talking wedding invitations and with that we’re featuring a vendor who knows more than a little about the stationery game, Basic Invite. 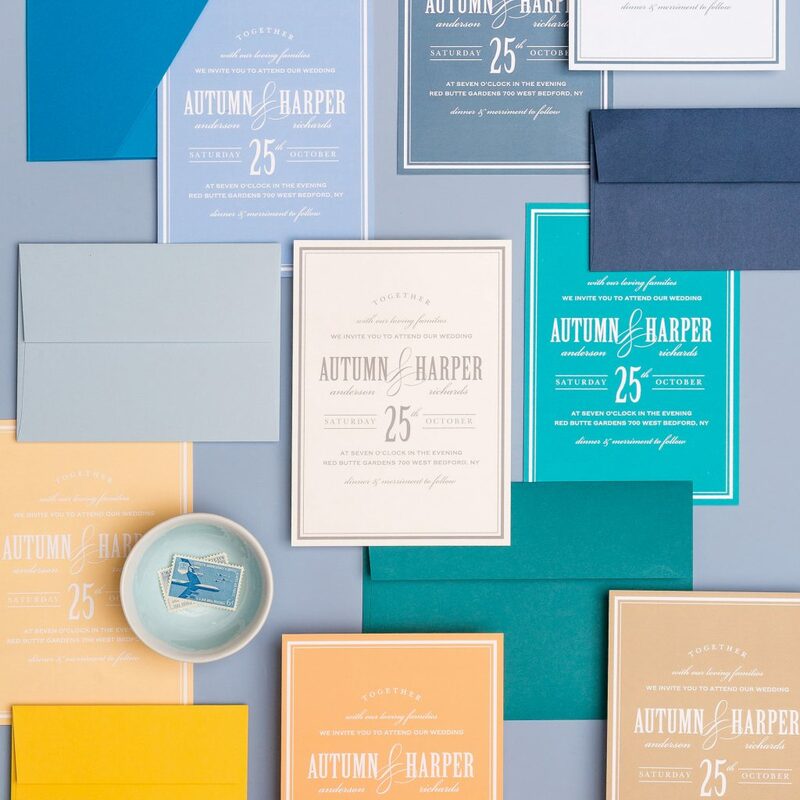 They’re an online stationery design company offering wedding invitations and stationery for all of life’s major moments! Wedding invitations are not just about pretty paper they’re about telling the story of your love in the style in which you’re celebrating it. Wedding invitations give guests a peak inside your special day from the time of year and day to the venue and color scheme. With over one thousand designs and endless customization options Basic Invite has it all and we’re sharing some trendy designs and insider details to inspire and inform all of you brides-to-be. 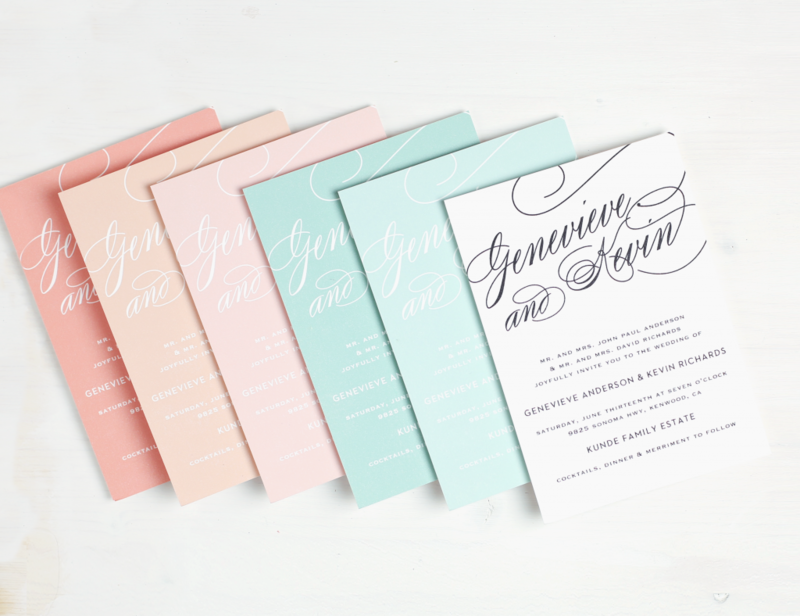 Choosing a design or theme for your wedding invitations can be tricky. You’re sending them out months before your wedding and that could mean an entirely different season of the year and time to change your mind when it comes to décor. These are things to keep in mind at the start of your wedding planning. 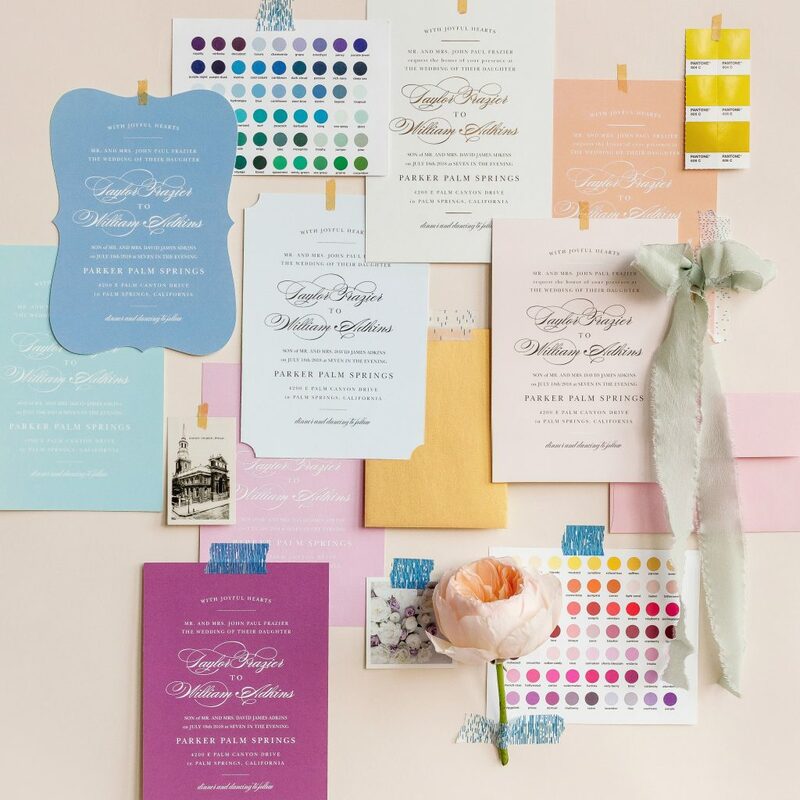 Decide early if you’re keeping your stationery cohesive or choosing a fresh look with each festivity. 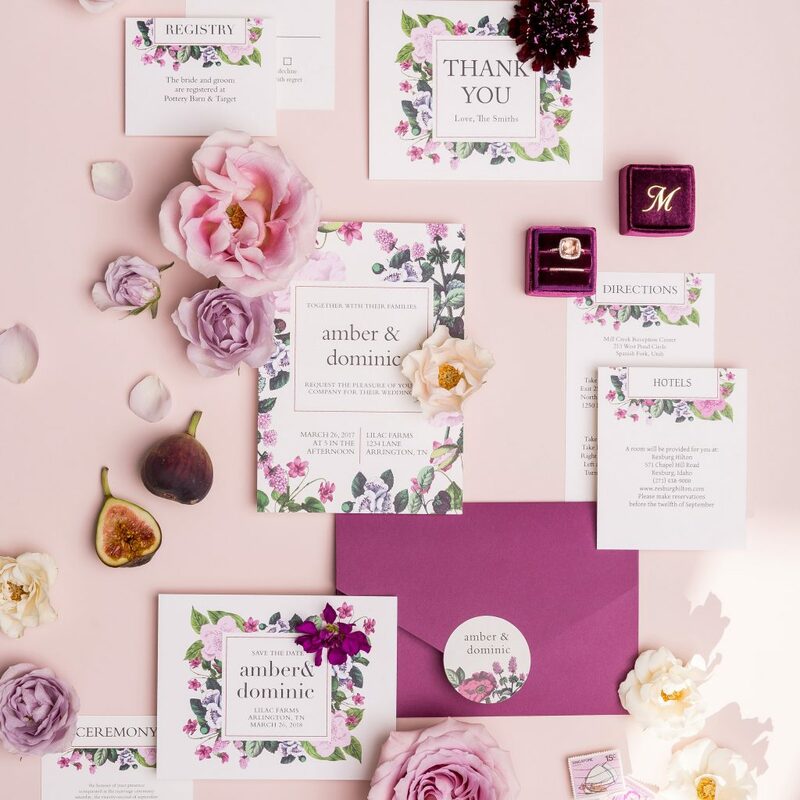 From your engagement party invitations to your thank you notes designs range from botanical themes to golden gate bridge wedding invitations and so much more. When it comes to a design, you can’t go wrong. Paper types, card cuts, and design details can make a big difference in the overall look of your suite. Thick cardstock is a given, but different types like shimmer, smooth coated, or luxe velvet can change a design from romantic to vibrant or casual to traditional. Card cuts are a fun way to add a twist and foil will take any invitation from pretty to stunning! Each couple is different in what they’ll order, but the timeline stays the same. Depending on the pre-wedding festivities you celebrate and the set up of your wedding day, the invitations you order and enclosures that you include will change. Some couples order an invitation for each of their celebrations leading up to the wedding and others stick to the standard save the dates, wedding invites, and rsvp cards. No matter what you order, save the dates should be sent out 4+ months prior to your special day followed by your wedding invitations 3+ months. This is one of the more enjoyable parts of planning your wedding because you get to express yourself as a couple through your design choices. 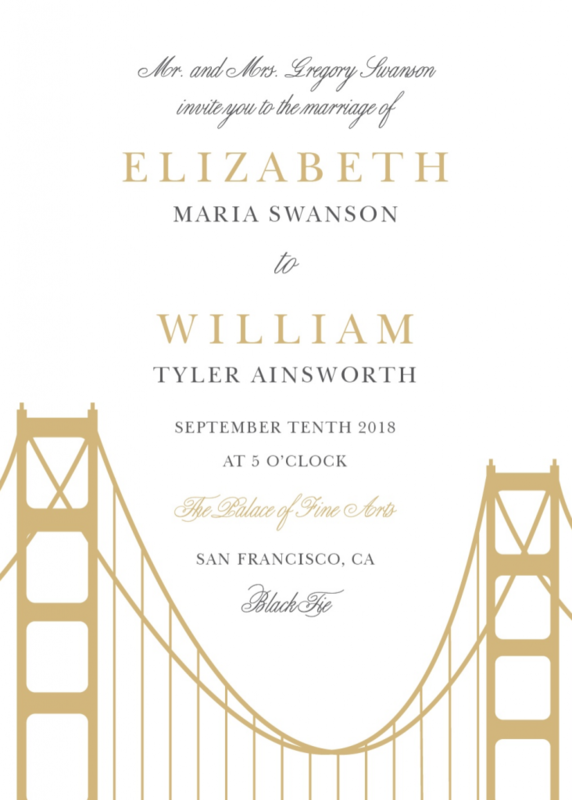 Basic Invite is a great company to turn to for high-quality custom invitations at an affordable price. Check them out! Stationery Fun Fact: Did you know that stationery can be spelled two ways with two different meanings?